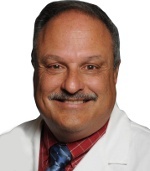 Charlie Immordino, RN, CASC, is principal and president/CEO of Ambulatory Surgery Center Consultants, LLC, and an Accreditation Association for Ambulatory Health Care surveyor. Q: What do you think is the biggest change occurring in the ASC industry? Charlie Immordino: Reimbursements and costs are getting tighter for ASCs. It's more important than ever that ASCs watch their expenses carefully compared with how things were only a few years ago. These trends have led to an increased need for efficient data analysis and a demand for modern practice management and EMR solutions. When ASCs first started implementing practice management and EMR solutions, they were seen primarily as a policing mechanism. They helped confirm that all documentation was clear and complete at the time of a patient's discharge, making it easy for ASCs to ensure compliance and receive appropriate reimbursement. Now, not only must ASCs monitor, maintain, and submit data necessary for reimbursement and compliance, they also need to keep track of costs, processes, and resource utilization. This information allows ASC administrators to more accurately forecast the total cost of running their operation, and not just the total revenue coming in from payers. 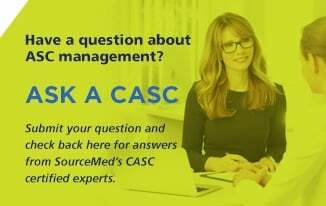 As a result, ASCs that once saw practice management and EMR solutions as an optional luxury are beginning to recognize them as vital to the long-term success of their organization. Q: What role can accessible data play in helping respond to this change? CI: Just knowing your total monthly spend is not enough. Oftentimes, costs can vary significantly for the same procedure depending on the physician performing the surgery. Surgeons have preferences as to the types of equipment they use and the amount of time they require to perform a given procedure. These are variables that can significantly affect the ASC's profit margin. This is why readily available, specific data is crucial for success. 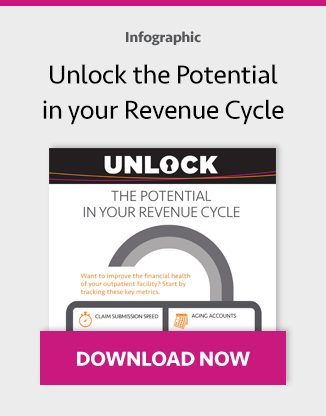 Administrators with insight into the costs versus revenue of procedures and surgeons can easily establish whether a procedure is profitable for your ASC. Further analysis can determine if a change can be made to improve the procedure or surgeon's financial performance. Q: What is different about today's IT solutions? CI: Today's systems are far better at collecting, compiling, and presenting data than their predecessors. Financial and operational performance can be filtered by any number of criteria, including service line, specialty, procedure, surgeon, and more. They also provide the ability to drill down to discover the root cause of the expense. This insight can show you whether reimbursement is high enough to return a reasonable profit on a case. It can also provide a course of action for improvement, whether it be changing supplies, renegotiating contracts, working to reduce the surgeon's procedure time, or cutting the procedure all together. For instance, say two surgeons are performing the same ophthalmology procedure. Both surgeons are using approximately the same amount of OR time and receiving approximately the same amount of reimbursement from payers; however, Surgeon A is making significantly less profit per procedure than Surgeon B. Using data analytics, you can quickly drill down to discover that Surgeon A is using an intraocular lens that performs on par with the lens Surgeon B uses, but costs significantly more. You now have a remedy to improve Surgeon A's performance. In the past, coming to this conclusion was difficult and time consuming, requiring staff to manually compile information from a number of different areas. Now, data analytics allows you to arrive at this conclusion with just a few clicks, in a matter of minutes. Q: Why should this development excite ASCs? CI: Data analytics will allow ASCs to analyze the profitability of different procedures and different physicians, and drill down to each individual item used in a procedure. These tools will improve the accuracy of information and better equip ASCs to determine the profitability of procedures performed. These systems will also help with growth as they allow you to examine which types of procedures are more profitable than others, which is essential to expanding into some of the newer ASC specialties and adding new procedures.